December 30, 2017. 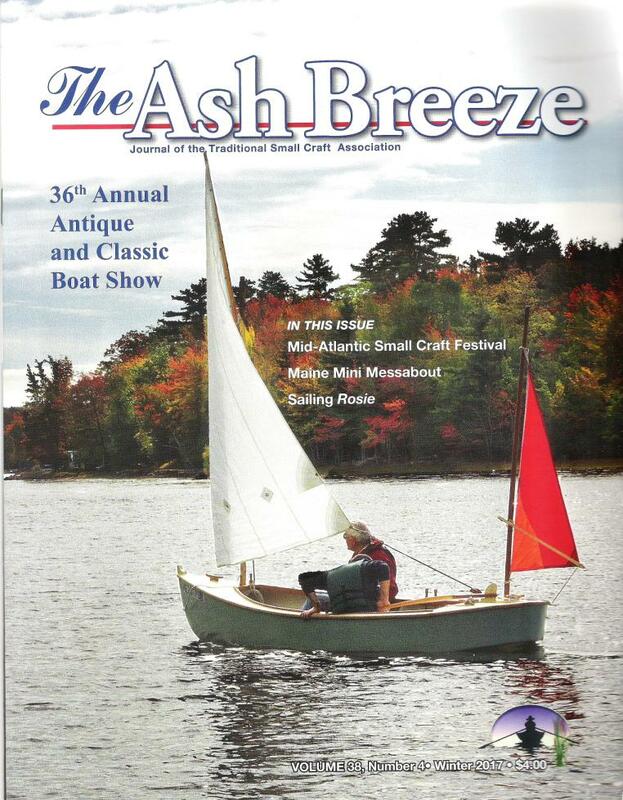 Ash Breeze is the quarterly magazine/journal of the Traditional Small Craft Association (TSCA - click here to go to their website). 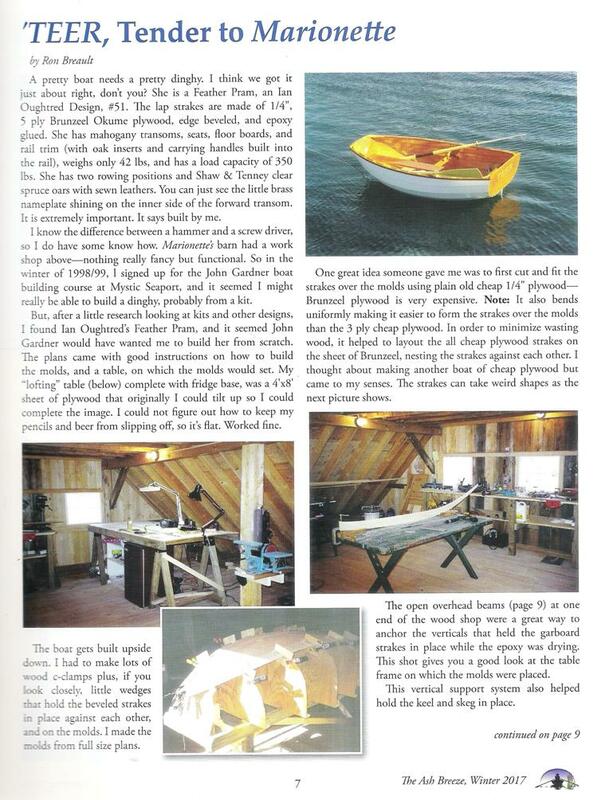 Your webmaster is a new member this year and submitted an article about the building of 'TEER, his dinghy for Marionette. The article was an edited version of the website story http://dolphin24.org/teer.html. 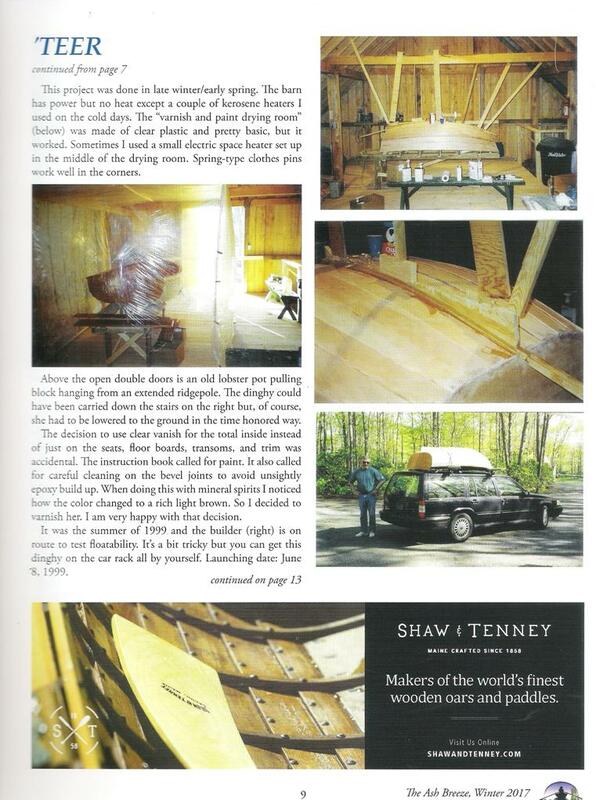 The 'driving force' behind TSCA is John Gardner, a legendary small boat builder who wrote many books and articles on this subject, and whose boat building school at Mystic Seaport provided 'TEER's builder the 'skills' and motivation necessary to build her. Following is the cover page of the 2017 winter edition of Ash Breeze and a reproduction of the article.